The prostate gland is an internal male genital organ located just below the bladder, weighing approximately 20 grams. The urethra (urine canal) starts from this organ, which is called the prostatic urethra. After the fourth decade of life, it is common for malignant neoplasm (cancer) to appear in the prostate, and adenocarcinoma is one of the most common tumors in men with a high rate of morbidity and mortality. The treatment, that is considered to be standard, has been the radical surgery that involves the removal of the prostate (prostatectomy), besides the seminal vesicle (glandulae vesiculosae), and in some cases, the pelvic lymphadenectomy (removal of lymph nodes) is performed. Historically, the operation began to be performed in the beginning of the last century and, for over a century, this kind of surgery has had great progress, obtained from the studies of a better knowledge of the male pelvic anatomy, particularly regarding the irrigation, innervation and smooth sphincter fibers. Allied with this knowledge, obviously there was also a large contribution from the industries regarding the development of equipment and instruments, which enabled the surgeon to do a better job. In the wake of this progress, laparoscopic surgery has also found a niche to treat patients with prostate cancer. This type of procedure started a little more than ten years ago in France, and today it is fully standardized, with a routine technique in the main laparoscopic centers. 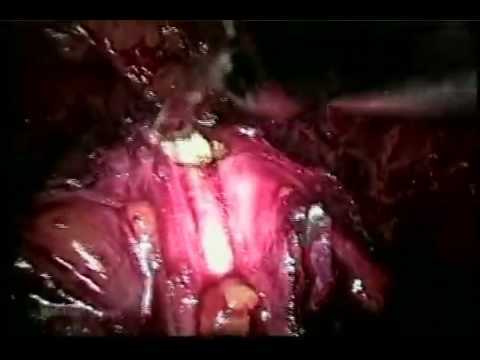 The great advantage of the laparoscopic technique lies in the better opportunity for the patients to have a surgery for the preservation of the neurovascular bundle (power nerve), so important for the maintenance of sexual activity. MASTER CLINIC has provided its laparoscopic service in the prostatic area since 2002, consolidating its usual pioneering and unparalleled service to their customers. The group has also performed laparoscopic surgery in many centers of this country and in several partnerships with urologists from other Brazilian states.